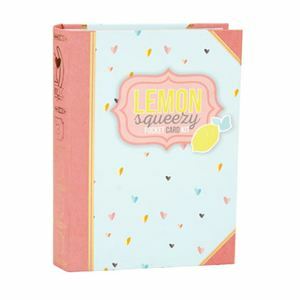 Capture the everyday moments with the bright and colorful collection of pocket cards and embellishments in our Lemon Squeezy Pocket Kit! Capture the everyday moments with this bright and colorful collection of pocket cards and embellishments. Slide cards and photos into Anthology DIY Pocket Page Protectors (sold separately) for quick memory keeping that tells the story beautifully. Photo-safe, lignin-free and buffered!